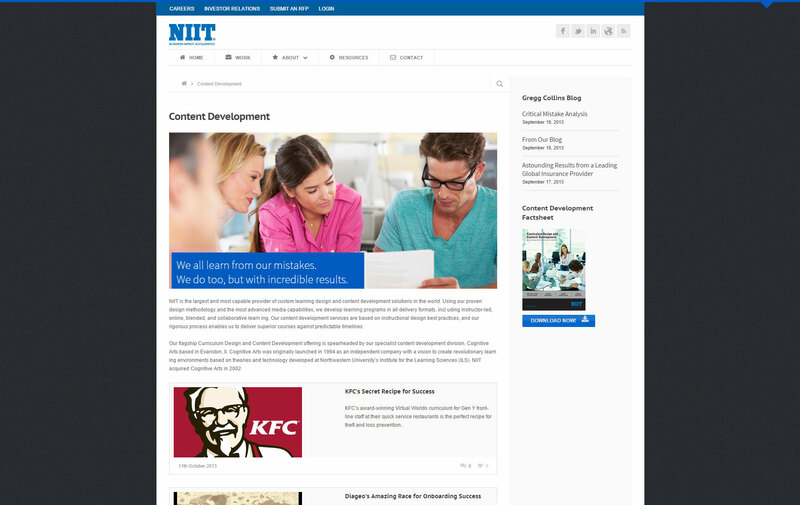 With a strong emphasis on asset promotion like white papers and case studies, the design team worked closely with NIIT Marketing to identify high-value content areas. 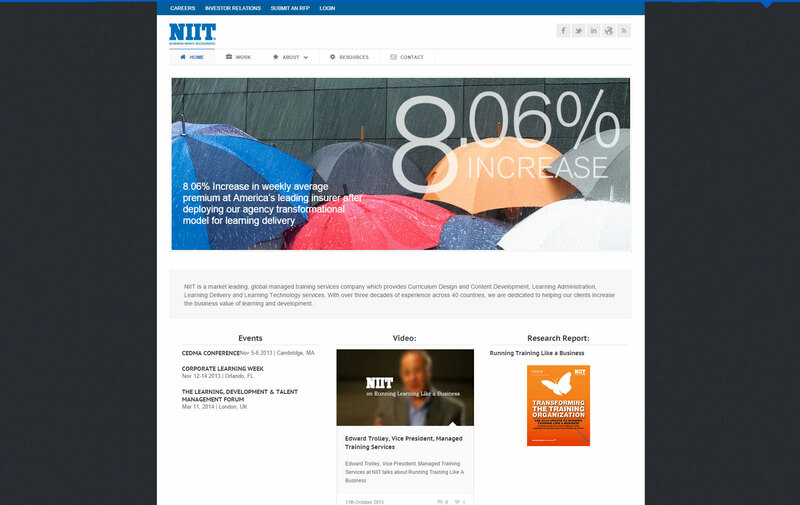 Custom pages and templates with expanded content areas were crafted to help promote NIIT's latest research and help convert inquiries and RFPs into confirmed clients. Forward thinking, cost conscious and insightful advice web technology counsel. Remarkable talent in creative direction and graphic design. And, an effortless, almost chameleon like ability, to Blend into any size or geographically dispersed team are just some of the reasons why I have hired SRHGrafx again, and again and yet again.